Today, Gulf Power filed its preliminary plan with the Florida Public Service Commission to recover costs of restoring power to more than 136,000 customers and rebuilding the grid following unprecedented Hurricane Michael. The company is proposing to the FPSC that it approve a storm restoration surcharge of $8 per month for a residential customer using 1,000 kilowatt-hours per month, which will keep Gulf Power customer bills lower than January 2018. Commercial and industrial customers will see bills increase by 3-8 percent depending on the rate plan. Over the last year, the company has reduced the typical 1,000-kWh bill by more than $15 a month through proactively passing savings, such as fuel costs, to customers. 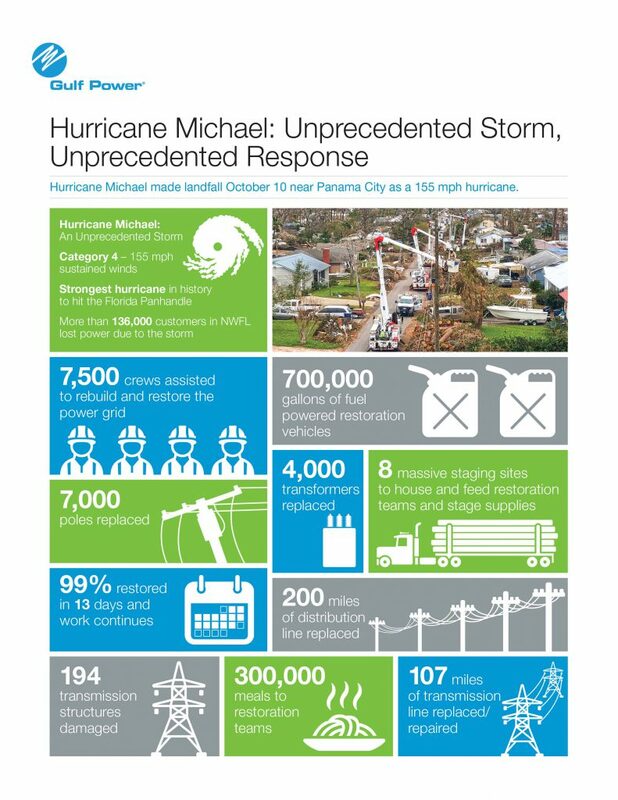 In an effort to reduce the economic impact of Hurricane Michael restoration costs on customers, the company proposes to spread the storm restoration surcharges over five years to ensure they will continue to experience a significant portion of the savings delivered over the last year. 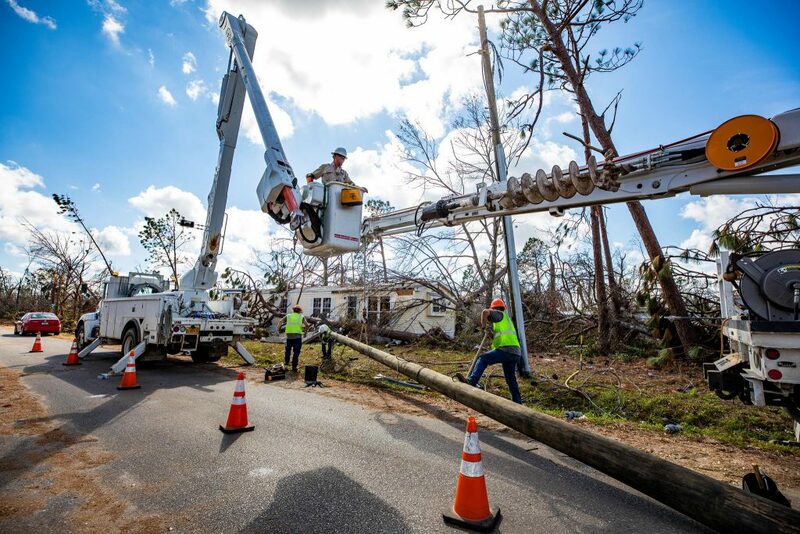 Gulf Power maintains a storm-recovery reserve to help offset expenses incurred after damages from storms like Hurricane Michael. For any expenses not covered by the storm-recovery reserve, Gulf Power must make a request before the FPSC. The Commission will look at these expenses and determine the best mode for recovery of the costs. 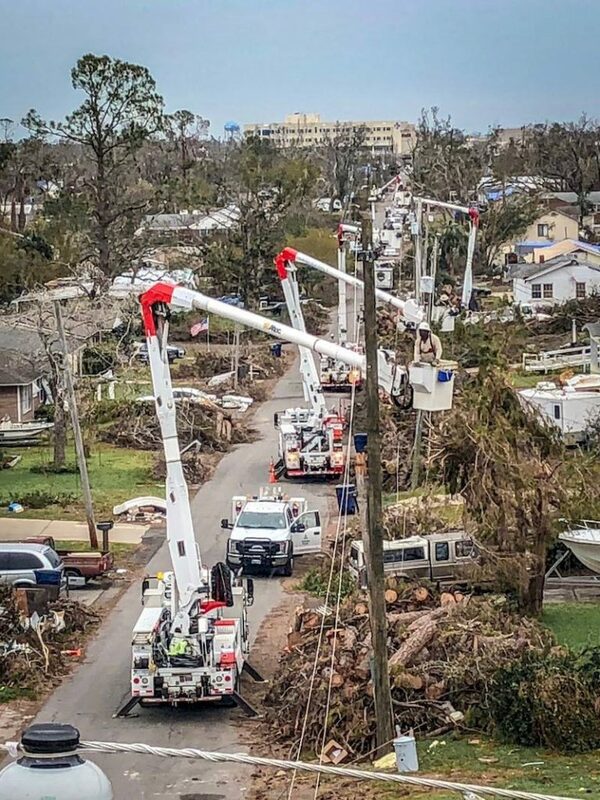 During recovery efforts like those seen in the wake of Hurricane Michael, the energy provider that serves the area incurs all the upfront costs of power restoration and rebuilding, including out-of-town crews, plus their housing, meals and transportation, security and more. Costs also include fuel for trucks, tree trimming, poles, transformers and power lines, and many other materials. Gulf Power is seeking to recover $342 million. 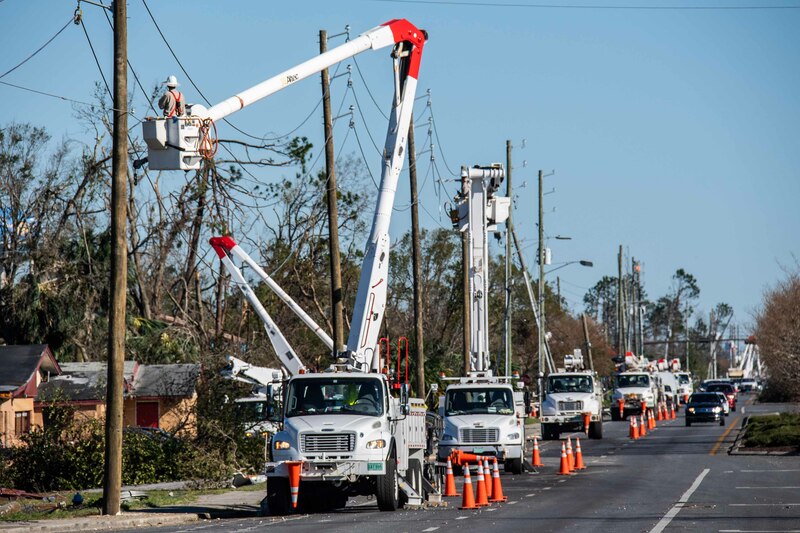 Gulf Power crews continue to connect customers as they have their homes and businesses repaired and work to return the company’s smart grid back to pre-storm reliability. Gulf Power also offers these energy savings tips to assist customers in managing their energy usage.